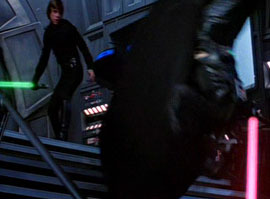 "Return of the Jedi - 2004 DVD Changes"
Odd: Throughout all three films, Vader's saber often looks pink. 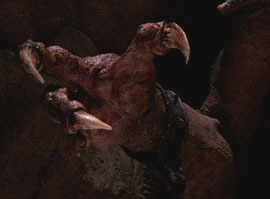 Especially from this shot in Return of the Jedi. 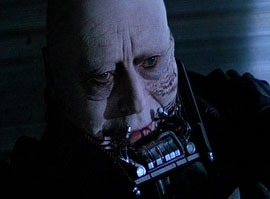 In the unmasking scene, Anakin's eyebrows have been digitally removed. 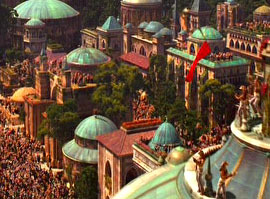 Naboo is shown at the end of the celebration sequence. 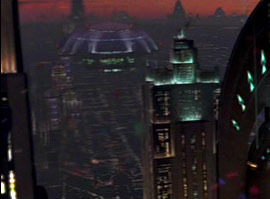 The Senate is shown at the end of the celebration sequence. 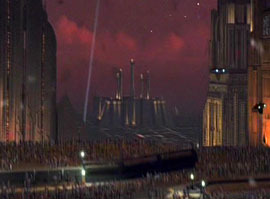 The Jedi Temple is shown at the end of the celebration sequence. 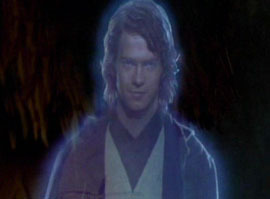 The biggest change of them all: Hayden Christensen has been digitally added to replace the older actor as Anakin in the ghost scene at the very end of the film.